This weekend marks the tenth anniversary of Record Store Day, a holiday launched in 2007 to celebrate and fuel the enduring vinyl format — and the culture surrounding it. 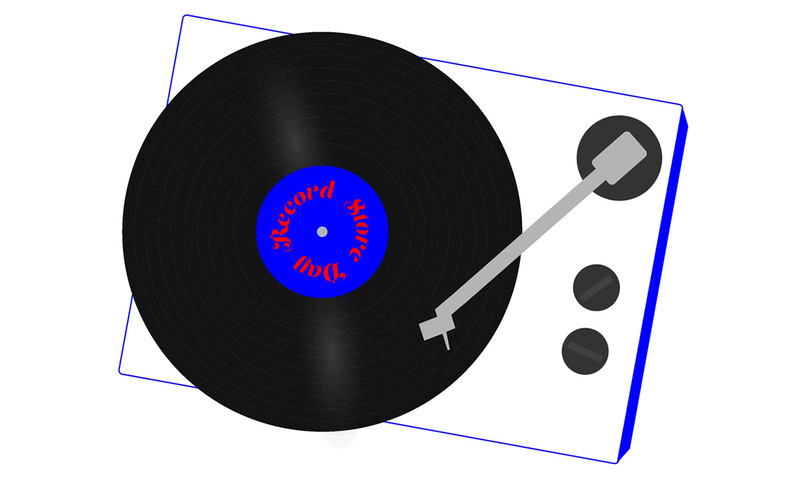 For the past decade, on a special Saturday in April, U.S. record stores (and more recently the world over) have hosted Record Store Day gatherings offering special editions pressed just for the occasion, along with in-store performances and other community events. After years of business reports and think pieces explaining vinyl’s unlikely resurgence and the widely predicted market correction, ten years is a decisive milestone. With new vinyl sales now at a twenty-eight-year high — even in the face of streaming hurtling past digital downloads as the dominant form of music consumption — perhaps it’s time the prognosticators accept that vinyl is a phenomenon that doesn’t defy trends so much as transcend them. Or that maybe it has even grown beyond phenomenon-status altogether. Much more than a singular sensation, and going far more than ten years back, vinyl culture stretches long and wide, across genres and generations: from hip-hop producers digging crates for sample material to build records around, to the dancehall selectors in search of the rarest treasures to play on their sound system, to hobbyists like myself who methodically flip through new and used bins from A to Z, yanking out every personally-defined classic and obscure LP that constitutes our own vinyl vision of Valhalla. Even in my crowd of casual-to-serious collectors, the crate-digging culture doesn’t fit a certain age or genre demographic. When I first fell in love with vinyl, circa RSD’s launch in 2007, it didn’t take long for my dad — who led our weekend CD-hunting excursions throughout my childhood— to fall right back into where he left off in 1988. Whenever I encountered the Baby Boomers and Generation X’ers who kept record shops afloat through vinyl’s darkest days, they reminded me that for them — and others who never lost touch with that special connection between listener, wax platter and artist — vinyl never really went away. For them it was the sound, that remarkable warmth, depth and fidelity that has until very recently eluded digital audio. It was the artwork, far too beautiful and holistic to the music to be reduced to the size of a jewel case or a screen. There’s something bewilderingly beautiful about how the basic mechanism of rotating grooved platter meeting stereophonically amplified needle has communicated some the most important messages of our time. With my own restlessly curated collection (currently just shy of six hundred and fifty LPs strong) also turning ten years old, I can’t explain what records mean to me better than considering the unique relationship I have with each and every disc in it. At random I can pull out an album I haven’t looked at in years and, as if completing a circuit between hand, eyes, ears and soul, recall the time and place I bought it. That treasured copy of Neil Young’s Harvest, with its chalky matte cover, whose dust-spattered music evokes the most tear-jerking memories shared with my father. That moldy, nearly unplayable edition of The White Album that I bought in Argentina simply because its sparse, imprinted title reads Los Beatles instead of The Beatles. The albums I bought at the most important concerts of my adolescence: Arcade Fire’s Neon Bible, with its gorgeous laser-engraved D-side, and Modest Mouse’s We Were Dead Before the Ship Even Sank, noticeably warped from the rain that nearly drowned us out of Red Rocks Amphitheatre. The records bought just for those precious moments contained within: the goosebump-inducing echo of “Elevators” on OutKast’s ATLiens, Blind Willie Johnson’s raw moaning on “Dark Was the Night,” every single second of Joanna Newsom’s six-sided opus, Have One on Me. The “Vinyl Revolution” is not a flash in the pan or a passing fad, but a direct response to the increased rarity of tactile art in a world on the verge of digital ubiquity. By its nature, vinyl forces you to pay attention, be present. It requires an investment of money, time and attention — but like with all good investments, there’s a return. There’s no incompatibility between digital and physical media. TIDAL’s editorial staff is filled with former record store employees and DJs, and most of us have a turntable and an origin story like mine. I cannot live without the infinite access of streaming, or the portability of my iPod before that. But for the music completionist, the art faithful, the old soul, physical records that live on earth have something that will never replaced by music that comes from a cloud. And none of this would be possible without the continued existence of brick and mortar independent record stores. Go support your local shop this weekend.